Yes, Supply Chain Management China is tough work and requires deep insight into the Chinese culture. By the way, always being tough is not a good path. Really, the wisdom to find the right person as your China Supply Chain Manager is deep water. These deeply Chinese Supply Chain Managers have many times the ability we Westerners do to understand and develop the suppliers within China. Our business regularly searches out these kinds of supply chain people to find, face, and develop your China suppliers. 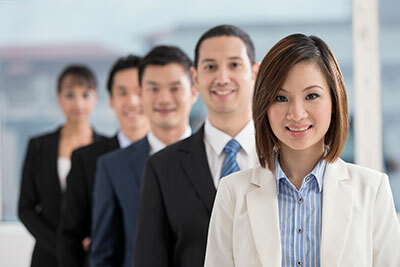 Supply Chain Management Recruitment China for Skills? Sure skills, but this is just one piece. Who they are on the inside will also be critical and is too often overlooked. Most companies and recruiters only judge this by gut feeling. Supply Chain takes a special kind of person, and their experience also helps. They further need high character as suppliers will approach them with money or other favors. How Much is it Worth to Get Great Supply Chain Talent? If you have $100M in sourcing, their talent to lower costs 3% is $3M in your pocket. Further, if they can carefully steal $3M you will have a hard time catching them. You will have lost at least $3M in quality or cost with your supply chain under that person. It is super common. So you can get a smart guy who can steal from you or a smart guy who can save you millions. How can you be sure which is which? They can hurt you or help you if you find one on LinkedIn or from a friend. It is an extreme roll of the dice. What kind of oversight can you bring? If the hire does not have great character, then the mud gets high quick. What will they be thinking? Do you have any idea? See Also China Supply Chain Management Headhunters. The Chinese are raised to think differently than those of us from the West. Most Chinese people who see a ball fallen from a bike on the road will pick it up and think they are lucky. They would not feel a tinge of guilt. Children naturally consider ways to steal the apples from the neighbor’s tree. The adults laugh and think they are funny and praise them for being smart in doing it. They think how they could take the construction materials without getting caught. It is natural in China. Chinese people see an unlocked bike and think if they can roll it away. If they succeed, they do not have any guilt. The Chinese culture says they got lucky. Not all Chinese are this way, but this is the baseline for the culture. What can your hire teach you about China? A lot if that is they want to. What can they hide? A great deal. I even hear companies moan that they cannot fire their China Supply Chain Manager because they hold all the contacts. Then the tail wags the dog. Take a look at our infographic on Recruitment Agency China. At SHI Group China, we understand that your hiring needs will vary over time depending on role, business cycle and other various factors. Our China supply chain management recruitment service is designed to meet the hiring needs of your specific organization. Do you have a critical need for an SQE or a senior Supply Chain executive? Do they need a high level of expertise and a proven track record that can help elevate your supply chain success? As your supply chain executive search partner and consultant, we prioritize and dedicate our time, market and industry expertise to work directly for you and your company. Our SHI Group China recruitment agency will provide you with great service and deep commitment to the success of the role. We work with you throughout each step of the recruiting and hiring process. SHI Group will have an informational initial meeting with you to engage in a deep-dive of data gathering. This will include understanding the company, position, culture, unique value proposition and other key information regarding your supply chain management recruitment China. Our search team will execute on the sourcing strategy, which includes research, recruiting, networking, and thorough reference checking. We will give our wisdom and effort to develop a slate of highly qualified candidates. When China supply chain management recruitment consultants talk “supply chain,” they use terms such as logistics and procurement, an integral part of supply indeed. But at SHI Group China, we often think about the Supply Chain Director going out with supplier quality engineers for an audit rather than sitting at a desk. You need strategic ability, but you also need hands on. Simply put, you want a firm that understands what you mean when you say “supply chain”. You need supply chain candidates that want to get involved to the ground level. They need to understand negotiation and product tolerances among many other concerns. You can’t afford to have a generalist search firm sending you resumes with the buzzword “supply chain.” With SHI Group China, you can count on our team to deliver the candidates you need and want. Of course, the first and most important is if the candidate has integrity and can stand against bribes. 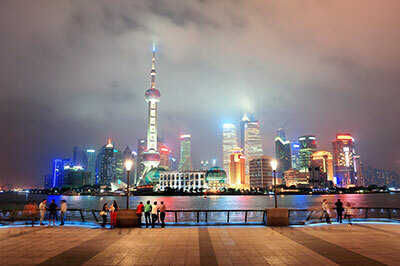 See Talent Acquisition in China – Some Key Factors. As the heart and soul of manufacturing, the supply chain is first to feel the impact of rising costs, economy changes, and new technologies and software. Manufacturers and talented employees know that profitability relies on their ability to stay in front of challenges and opportunities, including emerging ones. 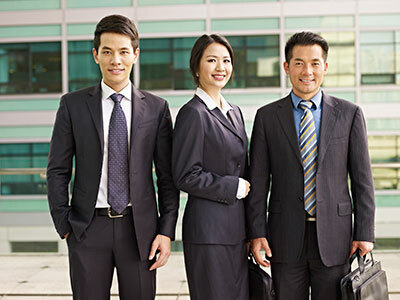 SHI Group China, a leading recruiter China, is trusted and determined. We want to get you great talent that is committed to you first and therefore not stealing. SHI Group China understands the difficulties and costs manufacturers face in staying current with best practices in this complex Chinese business environment. We also see daily how having the right talent in place minimizes uncertainties and leads to success. We work with companies through a consultative approach that brings understanding of their unique businesses, strategic and financial goals. SHI Group also wants to understand how we can help resolve issues and achieve milestones for you. As a recruiter China, we work just as closely with top-tier candidates to align them with organizations that best meet their career and personal objectives. The professionals at SHI Group China’s supply chain think more and dig deep to fill positions in the logistics and supply chain discipline for our clients. The shortage of trustworthy talent in the supply chain discipline is at a critical stage. The best candidates have many options and can choose between the best opportunities. Working as a leading recruiter China, we work as an extension of your organization, recruiting candidates that have the skills that you want. If the right candidate exists at the right price, we can find them. Further, we will make sure they are talented at getting great value and against bribery. That is a lot of work for us to prove. By recruiting both active candidates from our network and passive supply chain candidates, we are able to help fill the pool quickly and find a candidate that is a perfect fit for your company. SHI Group China is a highly skilled search firm that sees the importance of finding China supply chain employees. We help companies fill positions from executive level positions to analyst. As a highly committed supply chain recruiter, we focus on finding the right talent for C-level, vice president, director, manager, supervisor and even SQE positions in the supply chain industry. We do this for companies across a variety of industries. In fact, we work with businesses in so many industries that our recruiters stay engaged and nothing is humdrum. No matter what industry your business competes in, we have the expertise and experience necessary to generate interest in the positions you’re trying to fill. We know firsthand how challenging it can be to fill positions in the supply chain and logistics industry. That is why recruiting in this industry is one of our key specialties. Depending on your needs, location and the available talent, we can recruit China supply chain employees for your vacant positions quickly and efficiently. When we recruit for the supply chain and logistics industry, we don’t rely on active job seekers at all. We mostly reach out to passive candidates and explain how an available position within your organization might be the right fit for them. SHI Group pre-screens the talent we find to ensure they have the skills, knowledge and experience to step into an executive position in your company. Finally, we also make sure our candidates have the personality to thrive in your corporate culture.